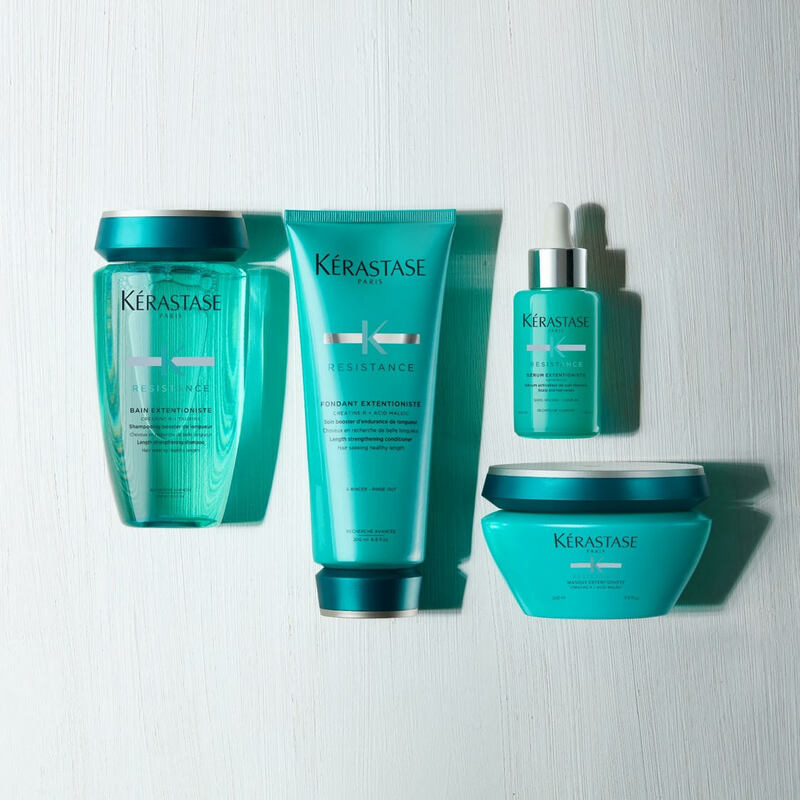 Kerastase new Extentionsite range has arrived and is ready to work its magic on your hair. Here to strengthen & lengthen your beautiful locks, this new range, offers 99% less breakage & 78% less split ends, while caring for your hair along the way. Extentionsite is targeted at women who are wanting extra growth for their hair, stimulating the scalp to grow with a the step by step process. Results show 4cm more growth length after the three month program has been completed. Without taking up your entire morning, Extentionsite works like this, pop into Mods once a month for three months for a salon treatment and also pick up your at home hair care. Use Bain Extentionsite to cleanse your hair (shampoo) followed by conditioning with the Extentionsite Fondant or Extentionsite Masque. Once or twice a week use the Extentionsite Serum to reactivate your scalp to grow after washing your hair. The once a month, 3 treatment protocols, are done at the basin to re activate and strengthen the hair as it goes through the growing process. If this sounds like you, and you want to find out more about this amazing new product then pop into Mods and have a chat to our always friendly team to see if Extentionsite is right for you and your hair.